Today was a big day not only for the iPhone, but also for Apple's iPod lineup. The 7th generation iPod Nano has been completely redesigned once again. It features a 2.5" multi-touch screen with the resolution of 240x432 (202ppi) to display what appears to be a completely new UI as well. It is obvious that the Nano has taken many of its design cues from the iPhone, such as the home button. The new Nano has an aluminum unibody frame and is even slimmer than the new iPod touch with the thickness of just 0.21-inches (5.4mm), and features a white glass front. Some other features include Bluetooth and an FM tuner. The new iPod Nanos will also come with Apple's latest lightning connector. 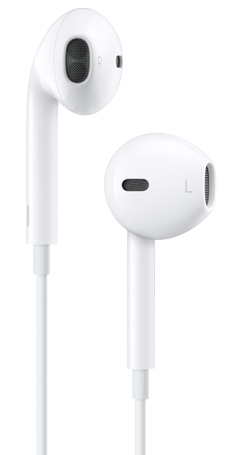 Along with the newly redesigned iPod itself, you can expect to find the new "EarPods" that will start to accompany Apple's mobile devices in place of the old Apple earphones. The iPod Nano is available in 7 different vibrant colors and only in 16GB at $149 beginning sometime in October. They will be available for preorder on Apple's website on September 14th, along with the iPhone 5 and iPod Touch.